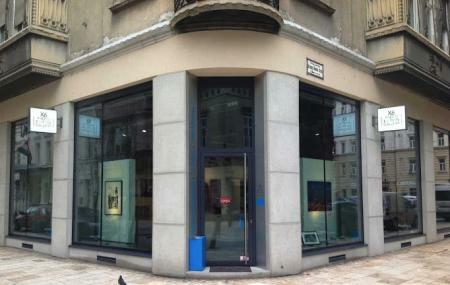 LUMAS Art Gallery is a perfect representation of the mystical love that Budapest shares for art. Located in downtown Pest, this gallery is often frequented by curators and collectors looking to add some unique pieces to their collection. LUMAS Budapest gives many an artists an opportunity to showcase their talent and creativity by making use of their platform. LUMAS has the most offbeat, bizarre to the most beautiful, realistic works as a part of their collection. There are works of notable artists such as Angela Rossi, David Eger, Heiko Hellwig, Erich Lessing amongst many others which are housed here. How popular is Lumas Budapest? People normally club together Balazs Kezmuveshaz and Madách Színház while planning their visit to Lumas Budapest. People also prefer to start their day with Lumas Budapest. Great collection, various formats, frames and sizes. Some pricy items but surely high quality. Very kind assistance and helpful customer service. Lumas is a terrible company, after weeks of awaiting delivery in the US from where the art is printed in Germany their customer service failed completely in helping our art clear customs enroute to Montana. Now they are holding our money ransom while the piece sits in customs in Memphis. They refused to assist in the process and claimed that it was our responsibility as the receiver to ensure that the shipping company could deliver the goods. This is fairly minor, but what is criminal is the complete lack of customer service provided throughout our very negative experience with Lumas. It is clear that the beautiful city of Budapest is stained by the existence of this Lumas store. Update, four months after our purchase the art is stuck in return customs in Germany. LUMAS still refuses to help. We'll never buy art internationally again.., this type of behaviour just hurts the artists in the end.